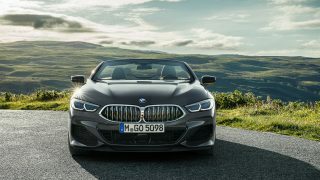 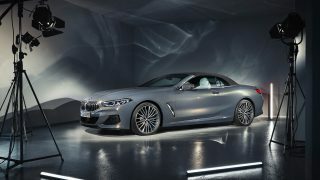 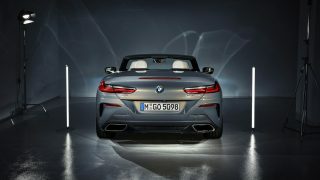 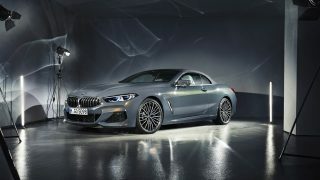 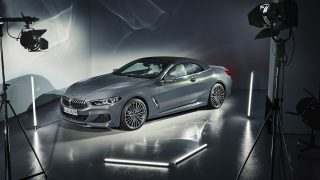 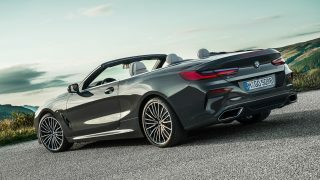 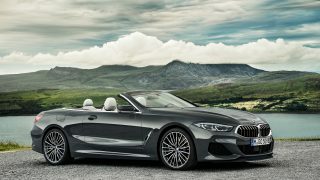 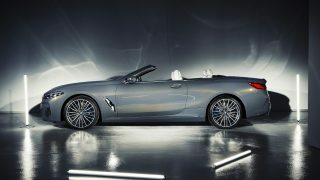 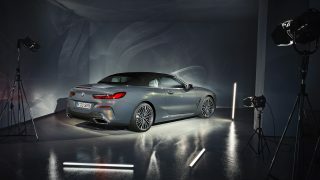 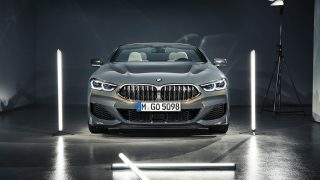 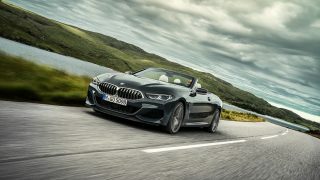 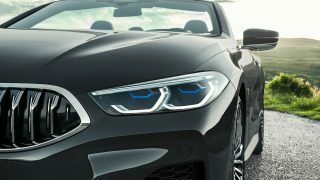 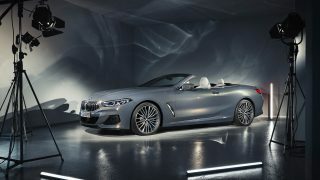 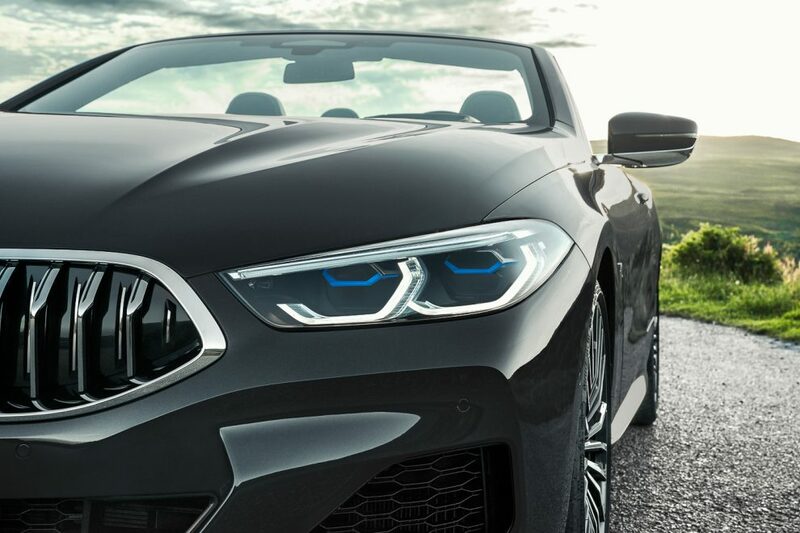 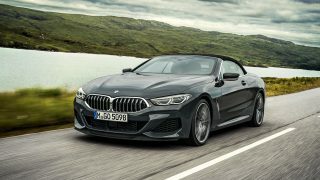 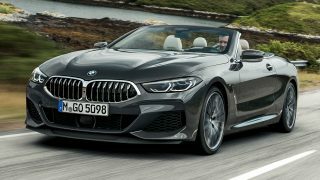 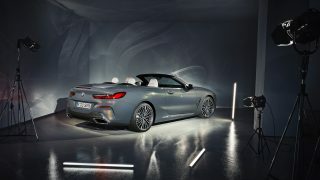 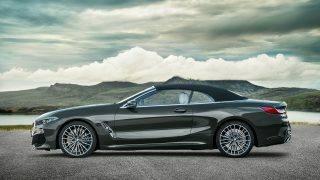 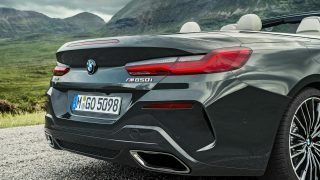 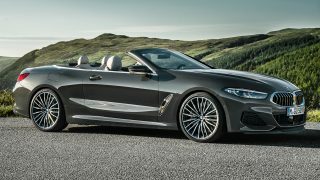 HomeNewsThe new BMW 8-series Convertible is an absolute eye candy! 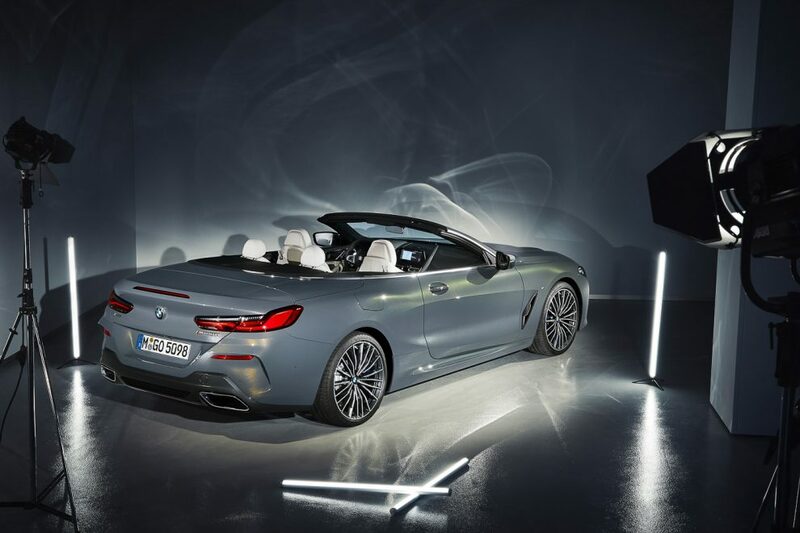 The new BMW 8-series Convertible is an absolute eye candy! 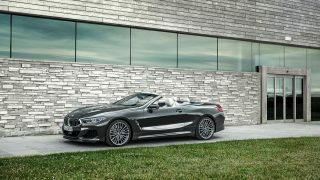 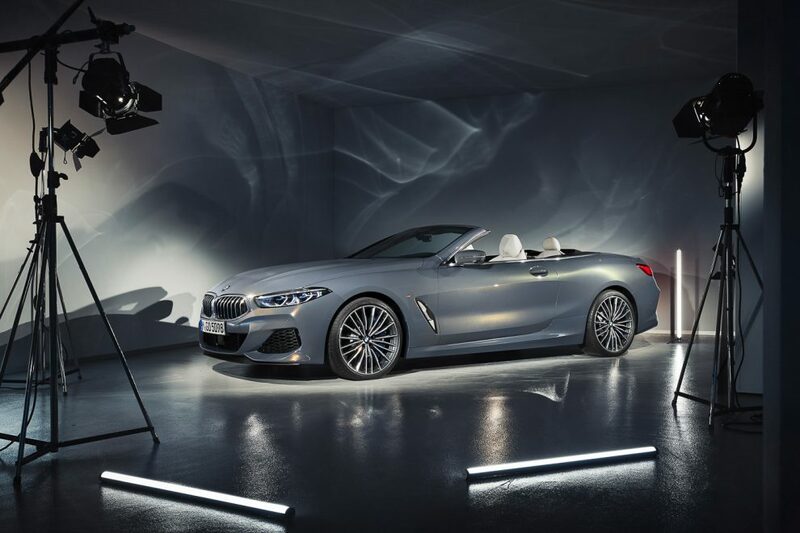 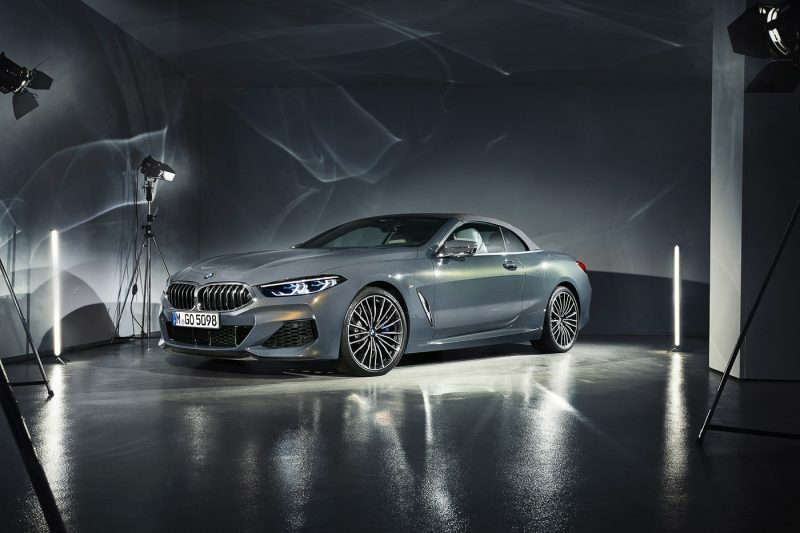 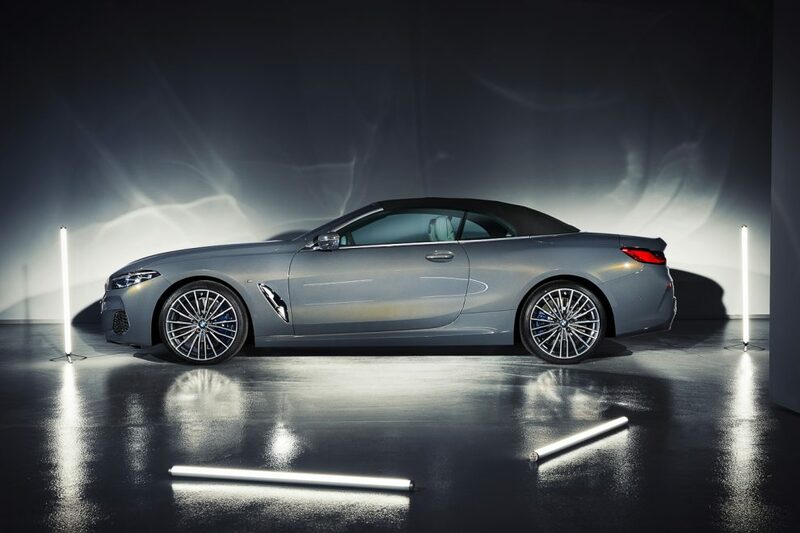 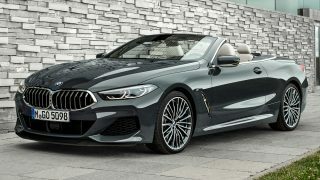 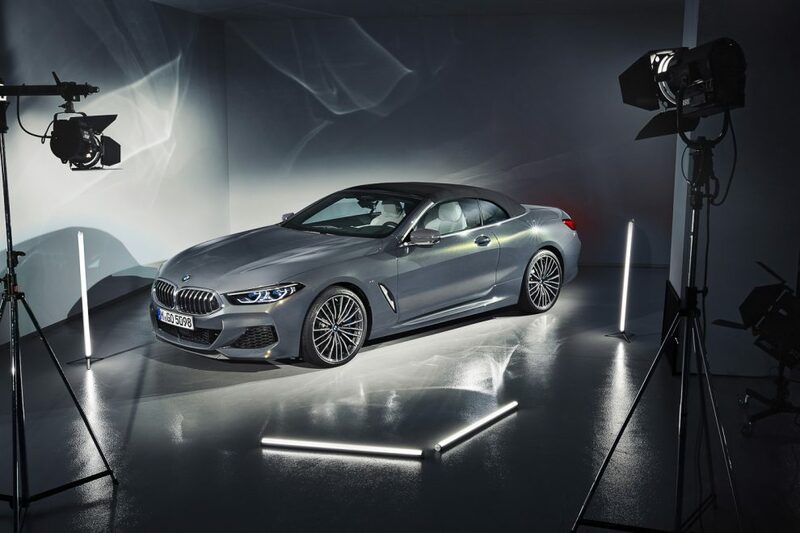 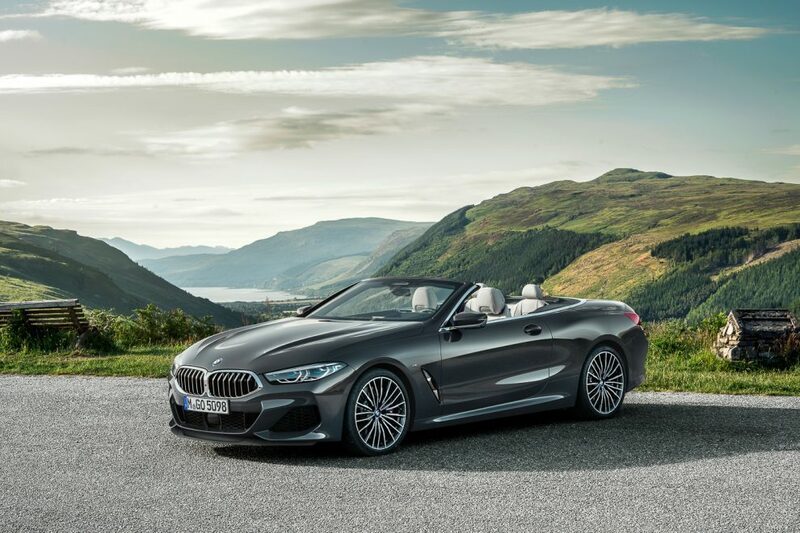 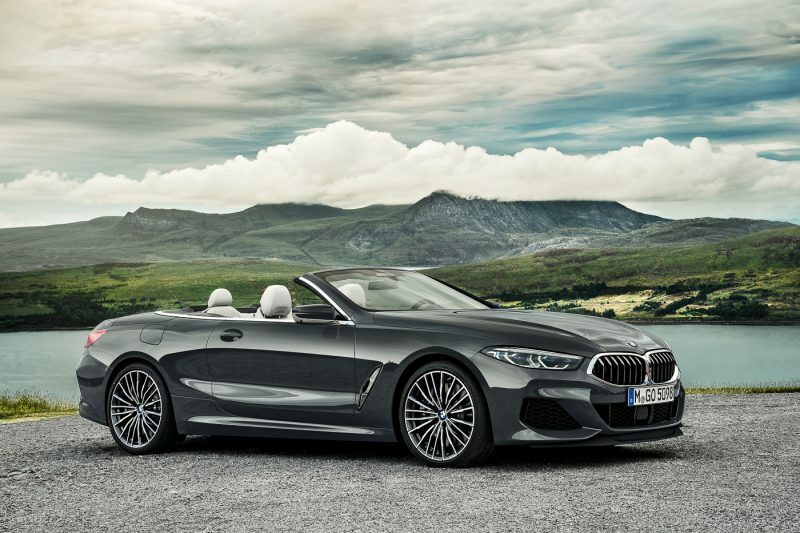 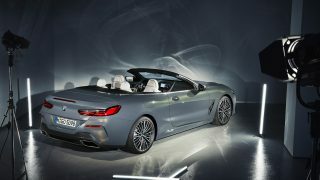 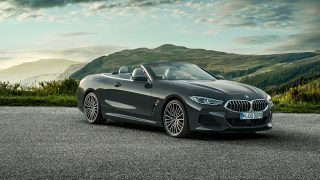 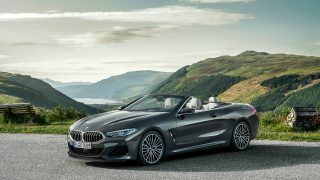 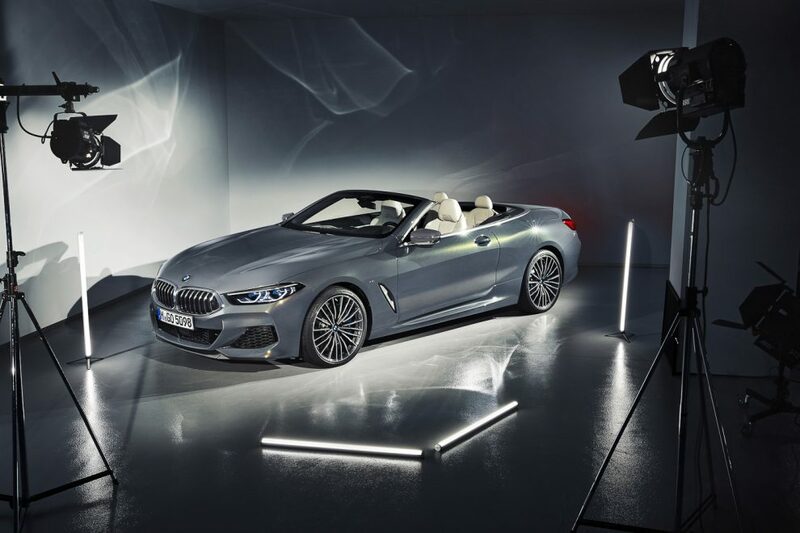 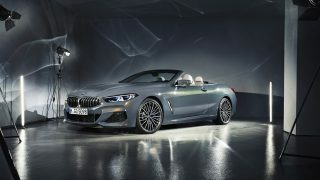 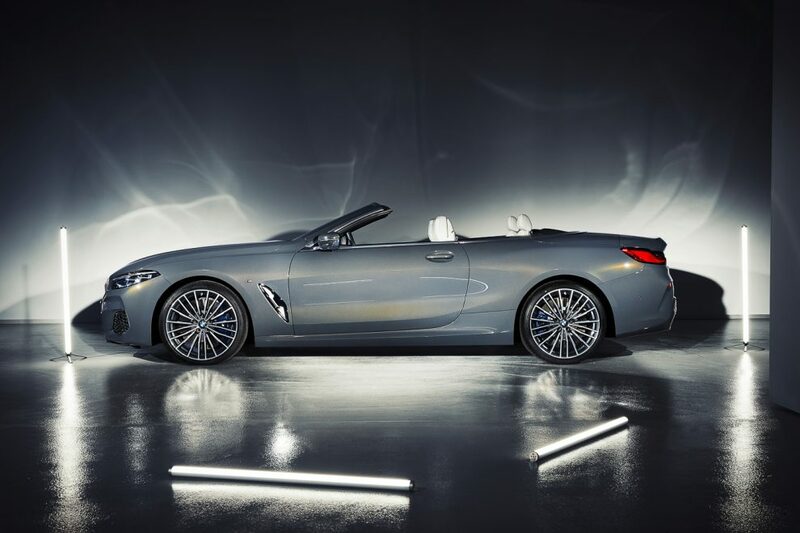 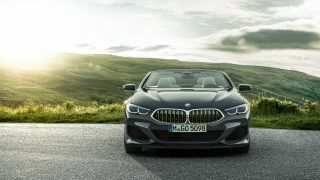 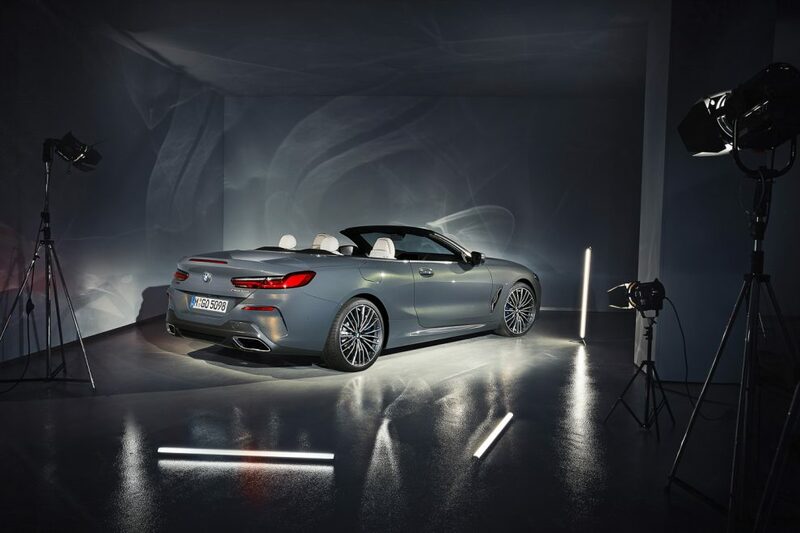 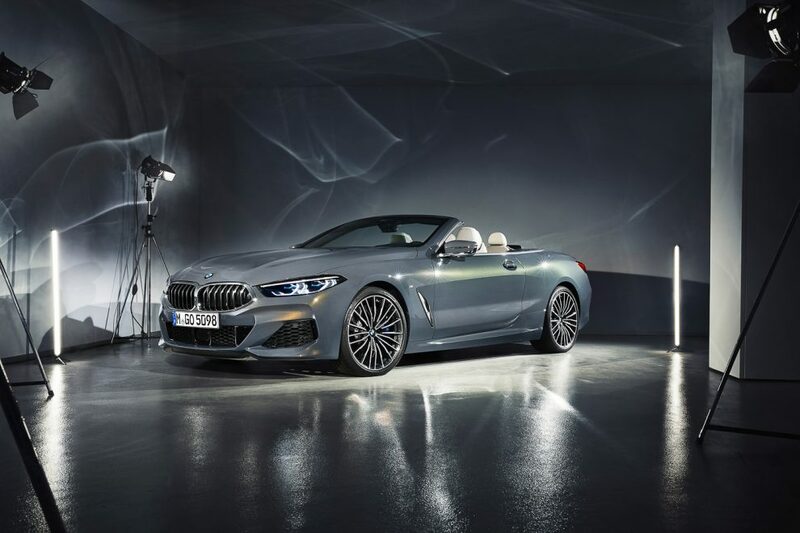 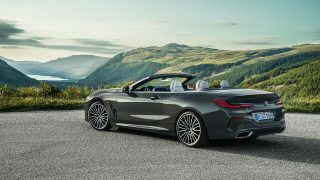 BMW AG has unveiled the new BMW 8-series Convertible and it’s just breathtakingly beautiful – such a soothing sight for sore eyes. 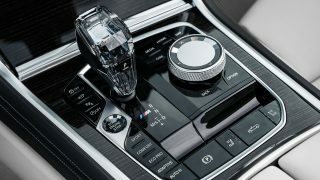 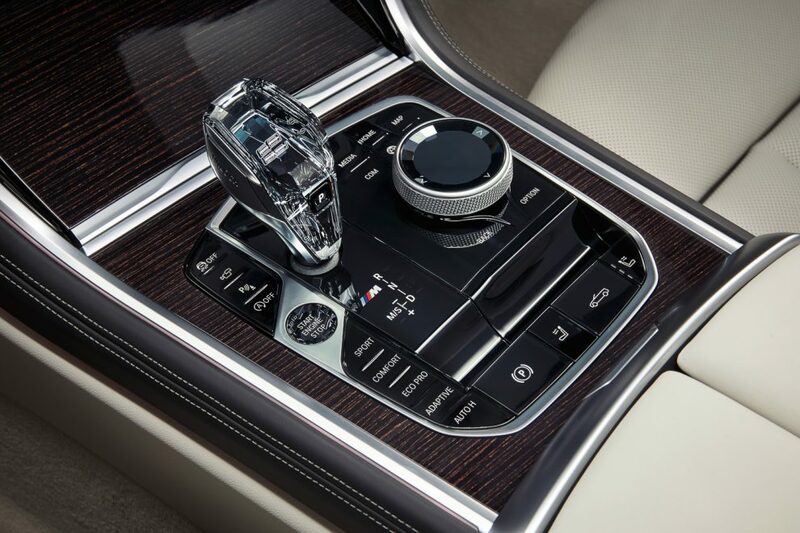 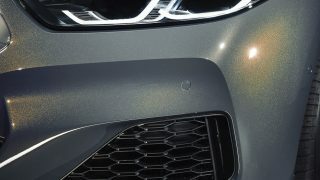 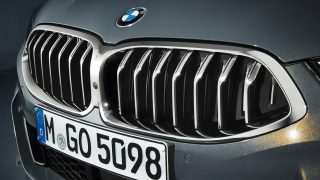 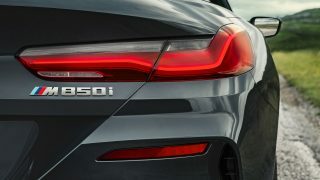 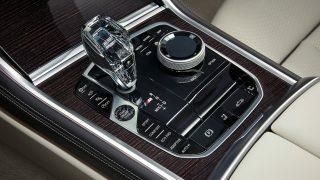 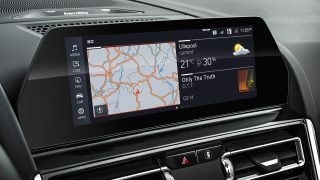 At launch, there are two variants available – the 850i xDrive and the 840d xDrive. 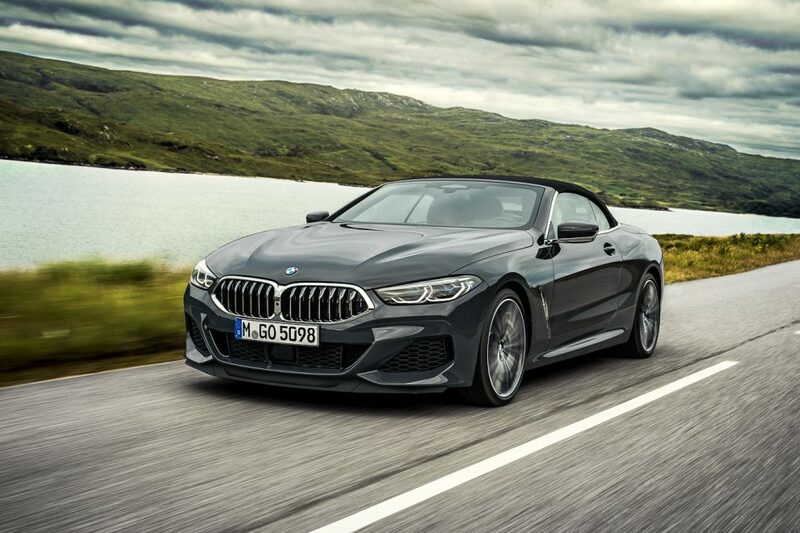 The former gets a 4.4-litre twin-turbocharged V8, paired to an 8-speed Steptronic gearbox that’s good for 530 hp and whopping 750 Nm of torque. 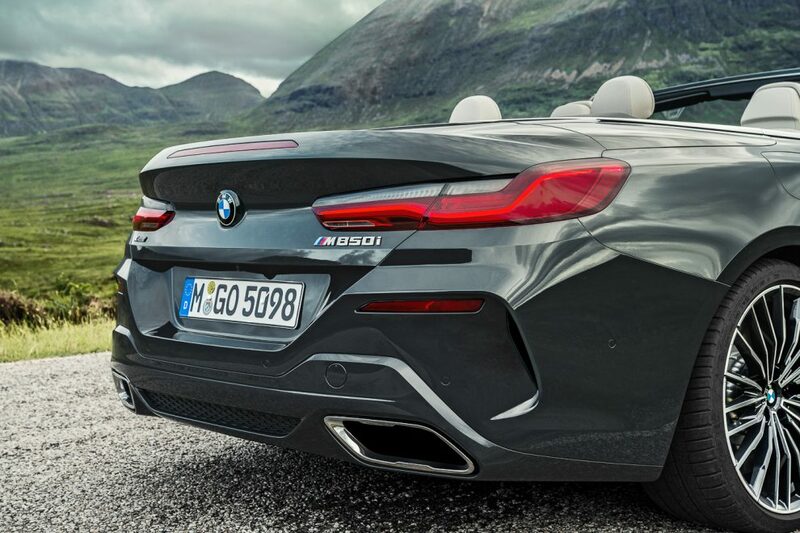 0 to 100 km/h is dusted in just 3.9 seconds before it hits the annoying top speed limiter at just 250 km/h. 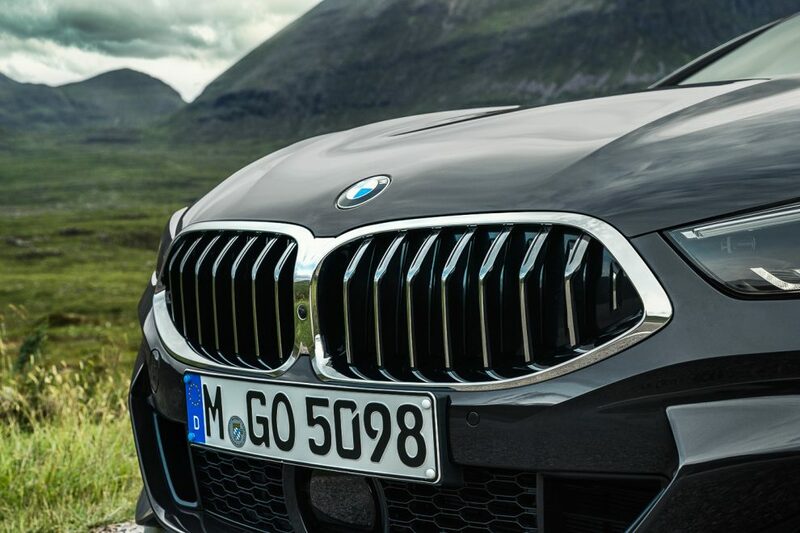 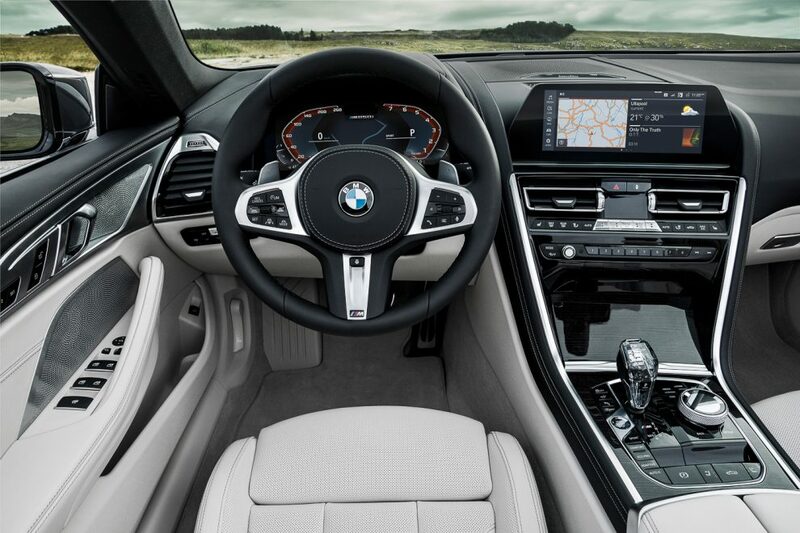 In the 840d xDrive, 3.0-litre turbocharged straight six diesel engine paired similarly to the 8-speed gearbox with 320 hp and 680 Nm of torque. 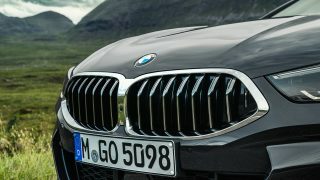 This one’s more than a second slower than the 850i to a 100 km/h at 5.2 seconds, but with a similar top speed. 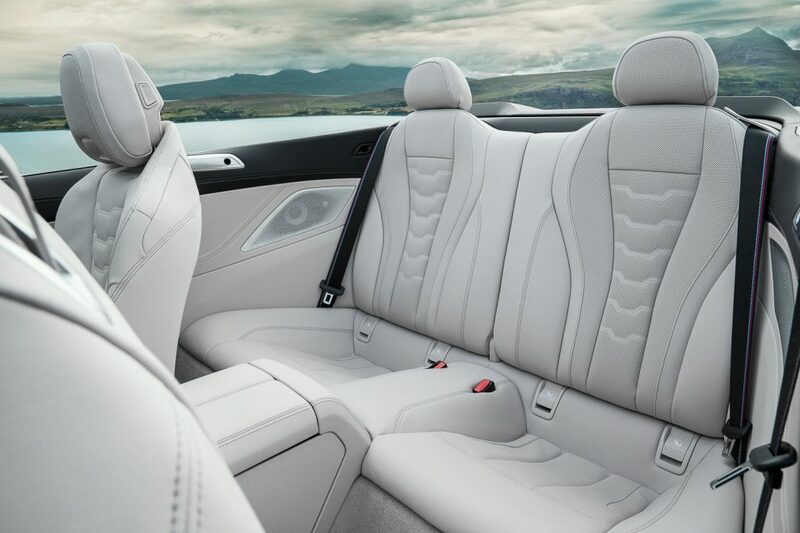 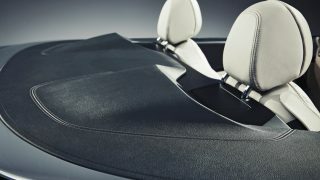 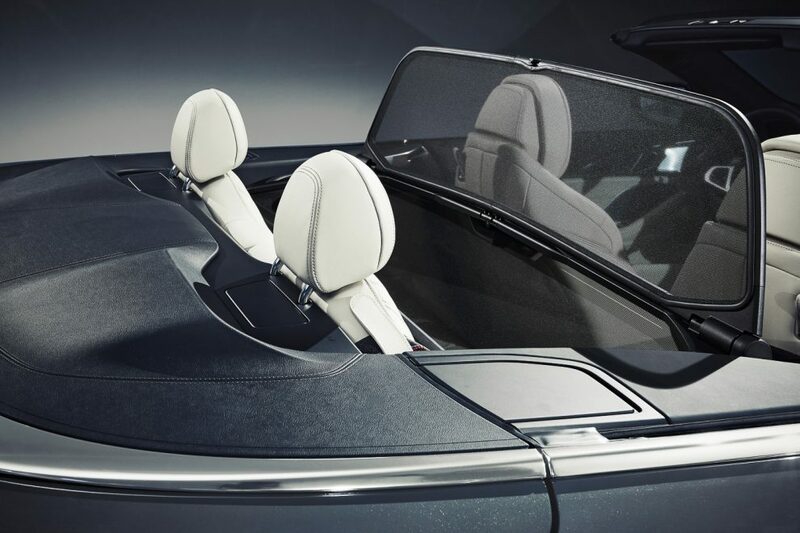 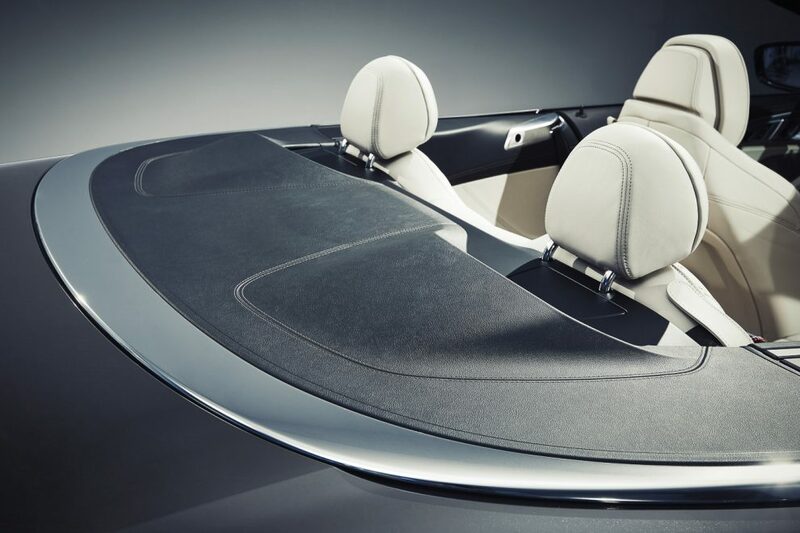 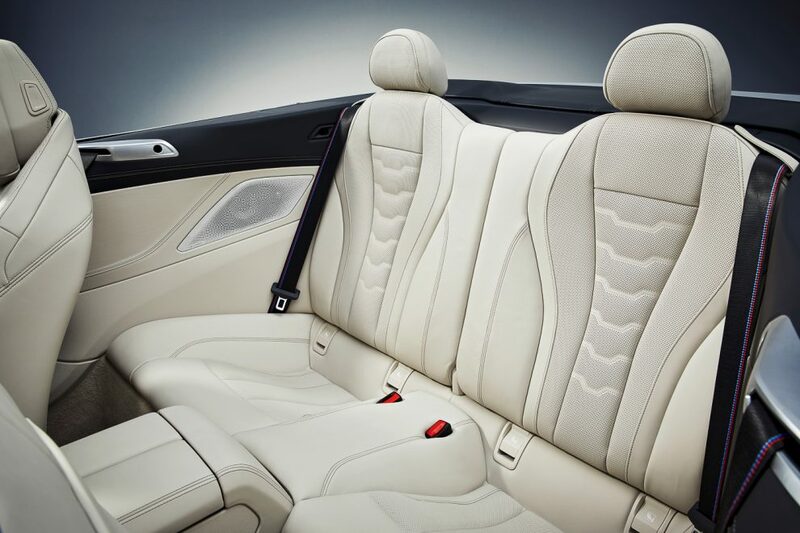 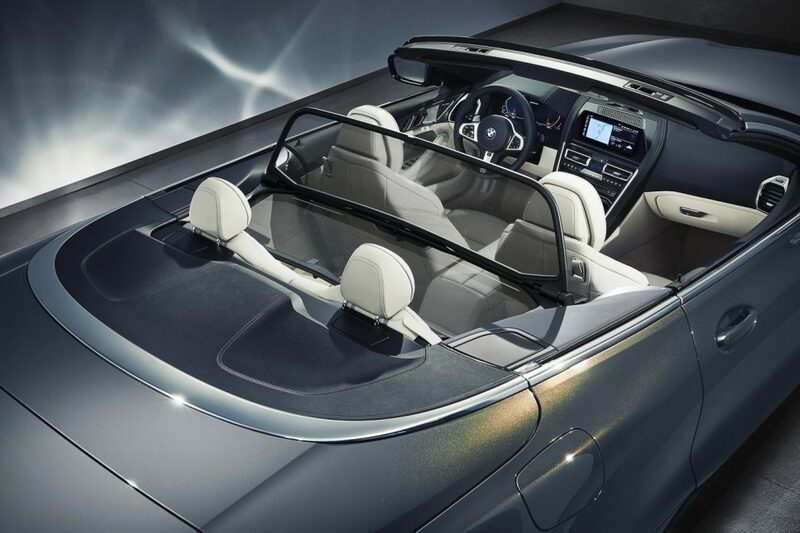 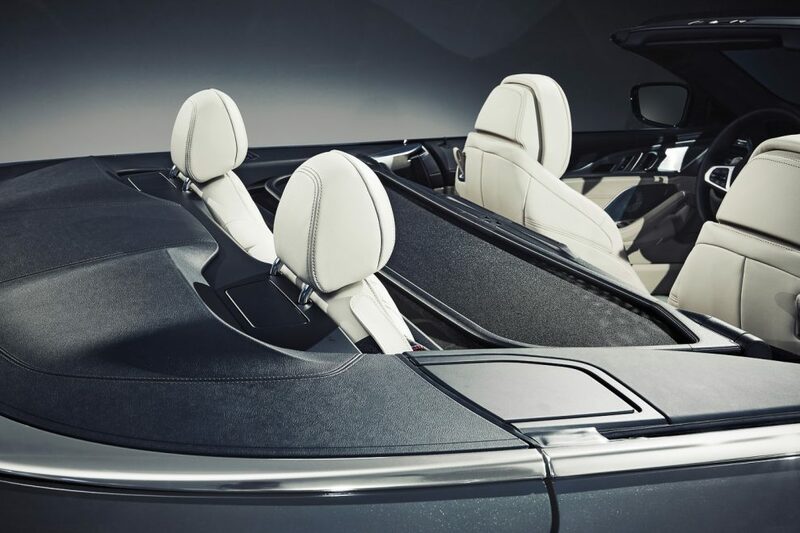 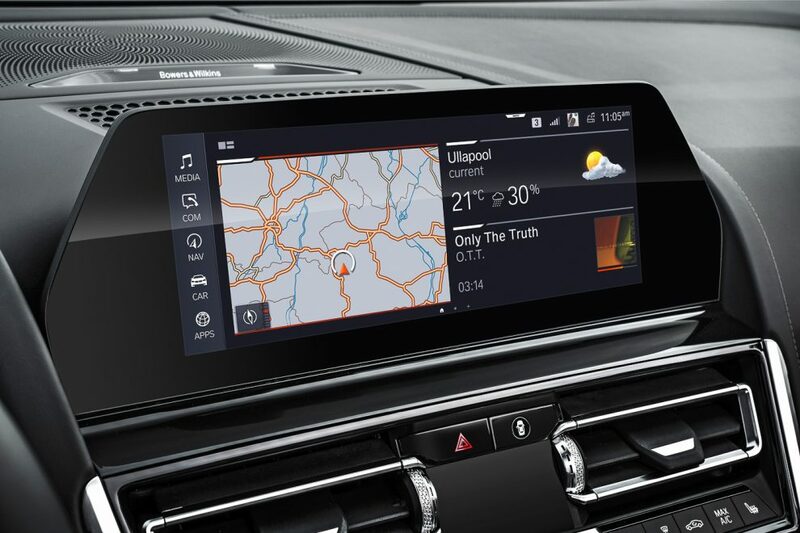 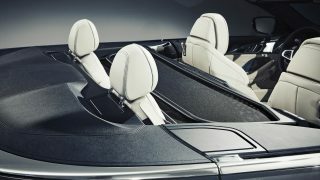 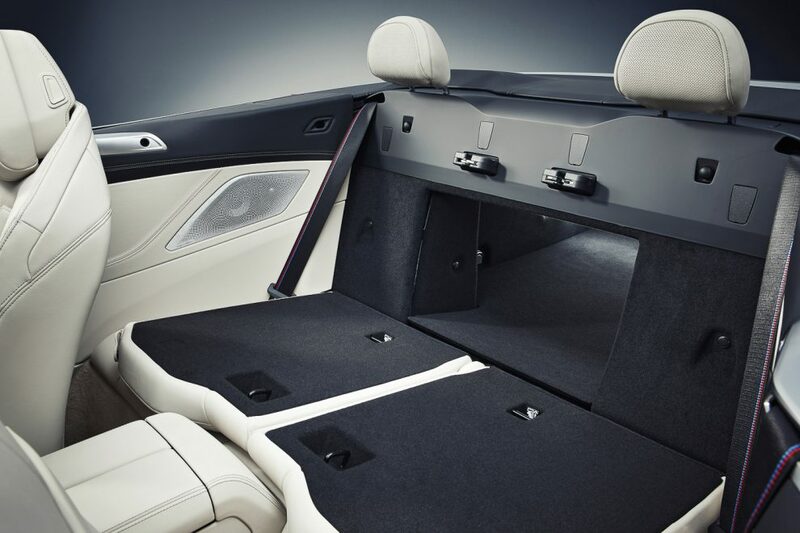 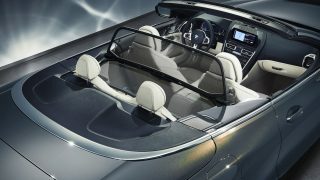 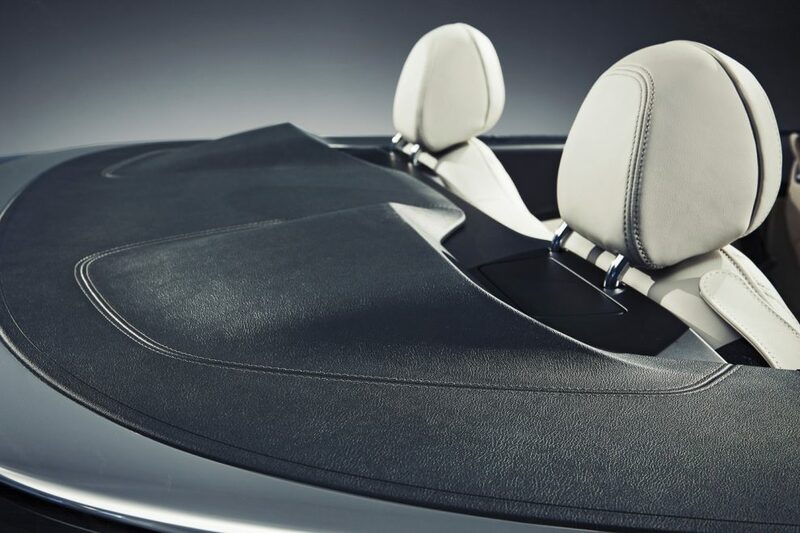 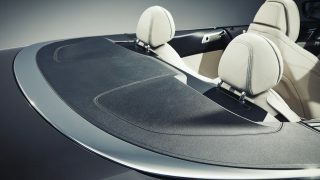 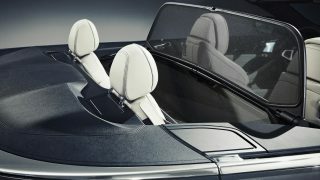 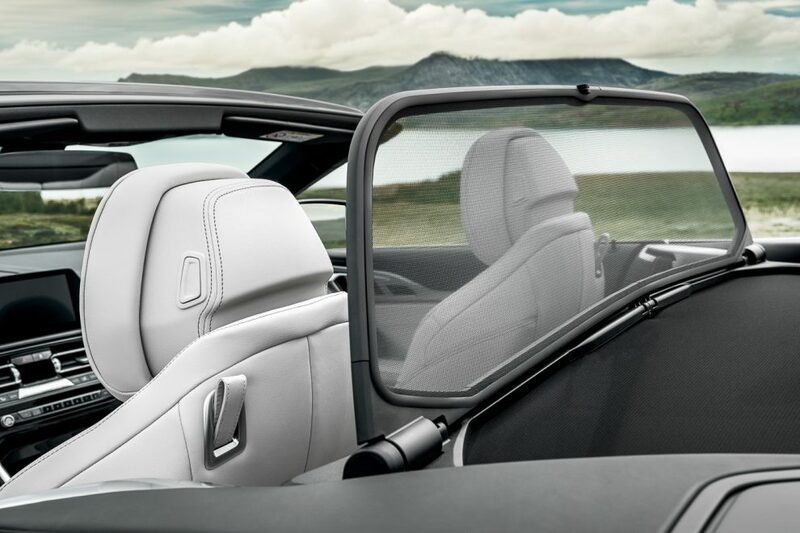 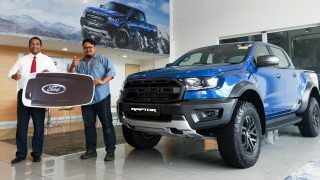 The 4.8-metre long convertible’s multi-layered roof has been designed for absolute lightness, sound insulation and can be opened or closed within 15 seconds at the touch of a button. 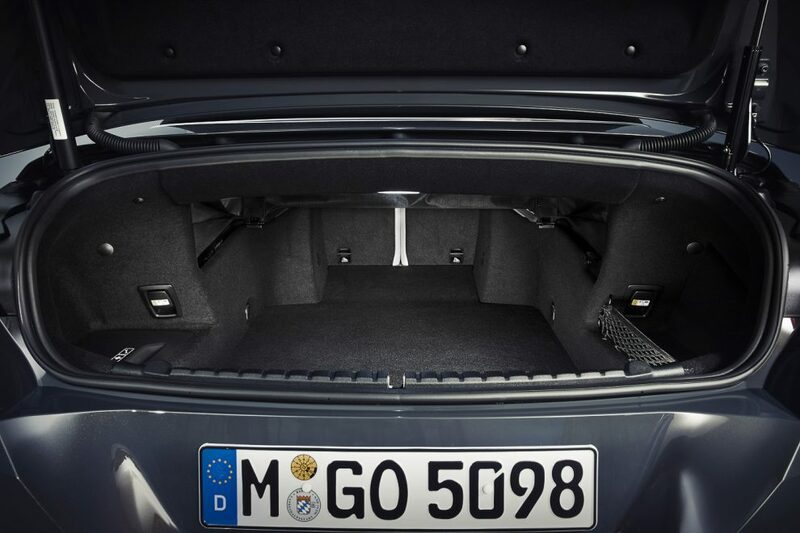 The roof, which can be had in silver, can be opened with the car travelling up to 50 km/h. 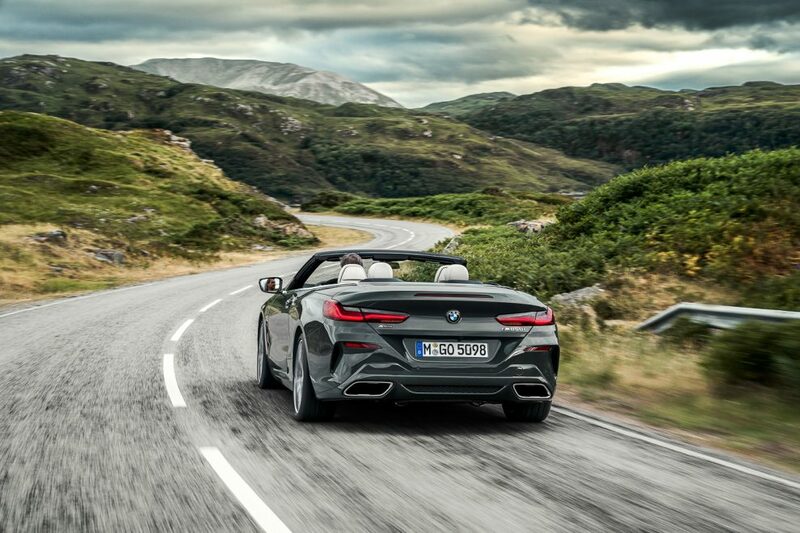 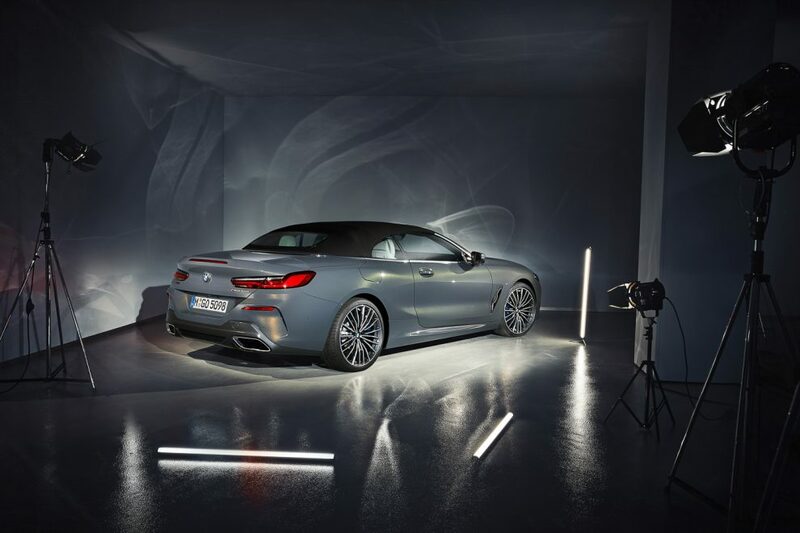 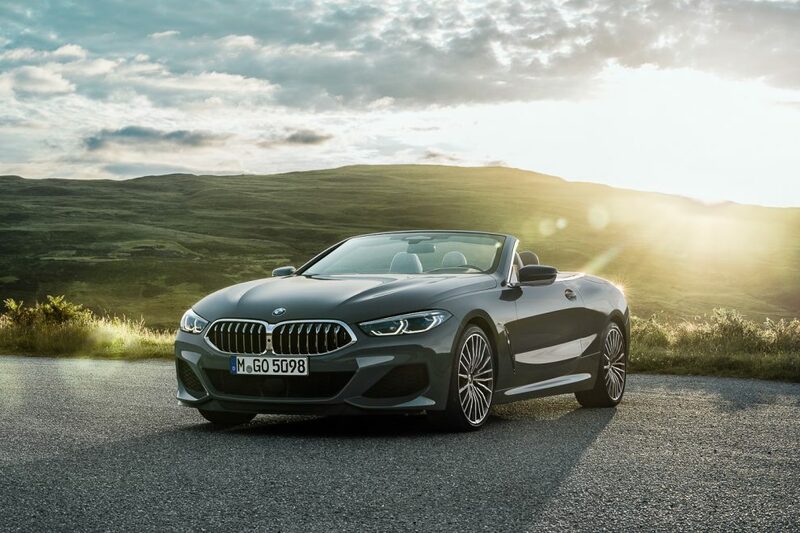 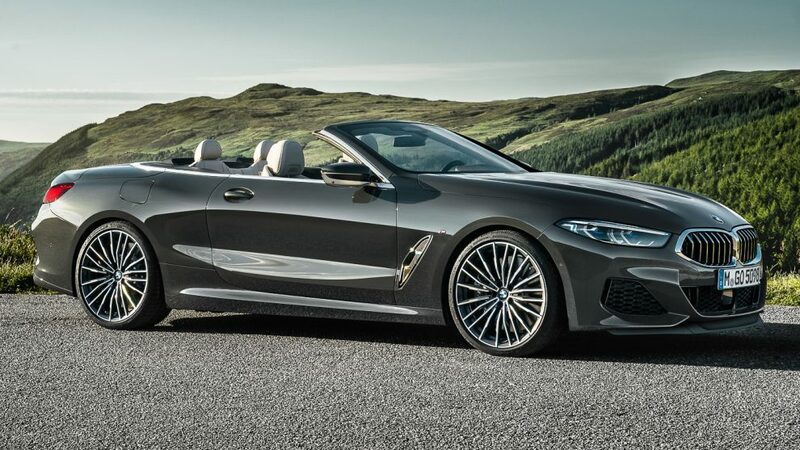 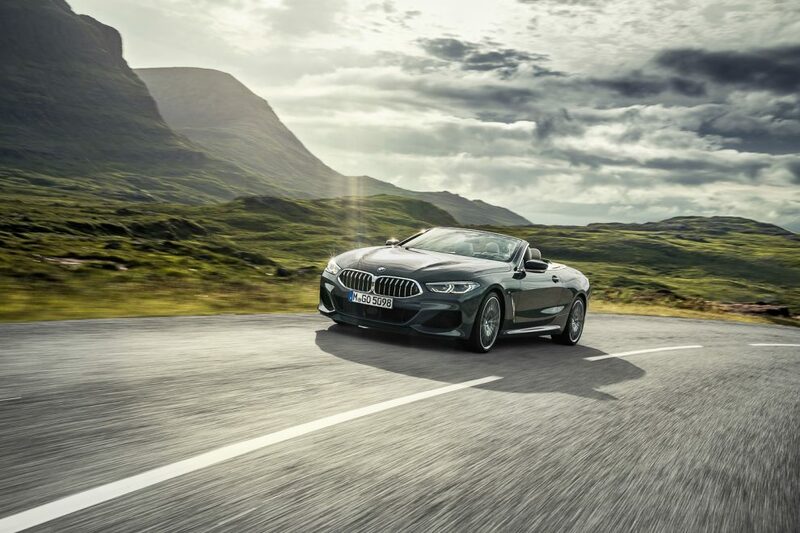 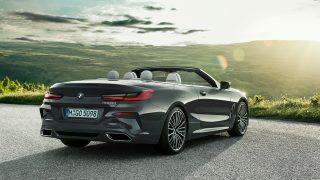 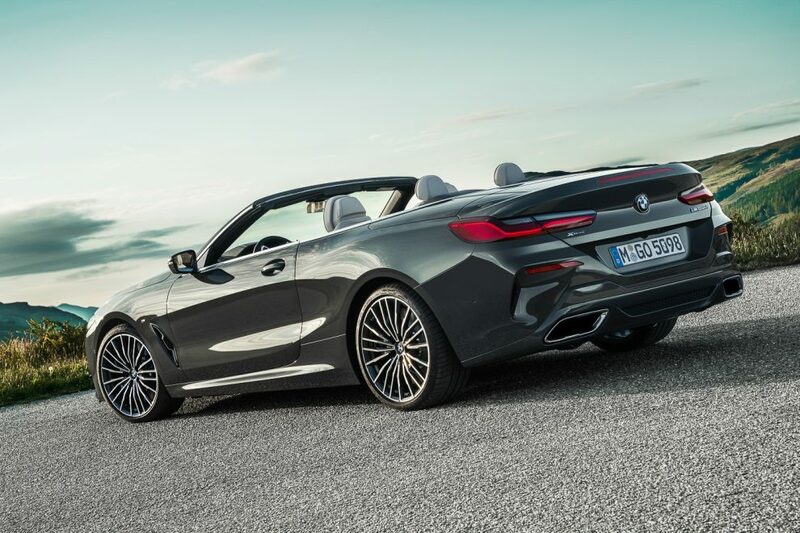 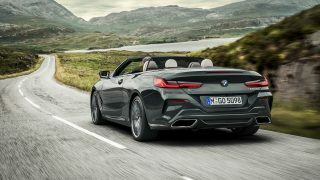 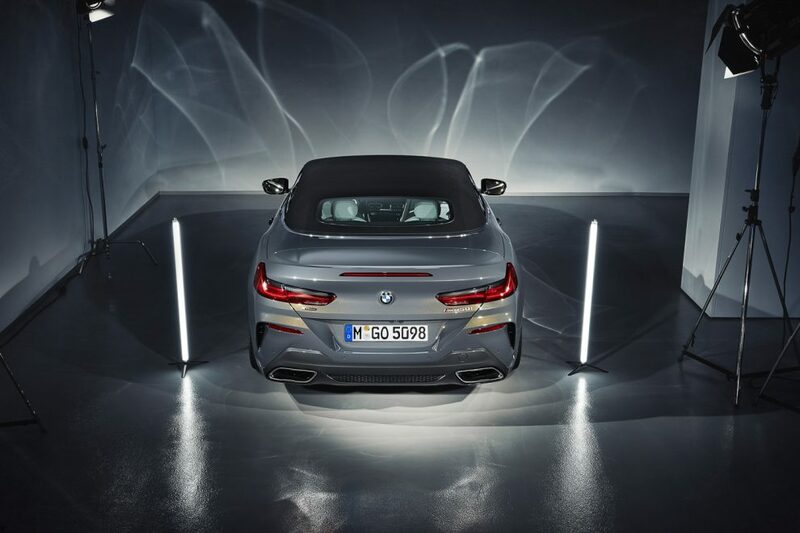 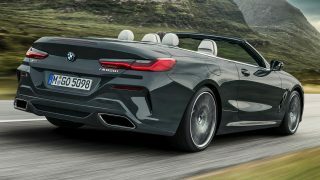 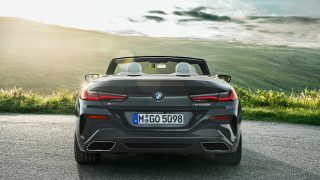 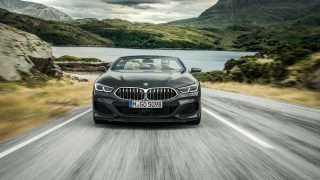 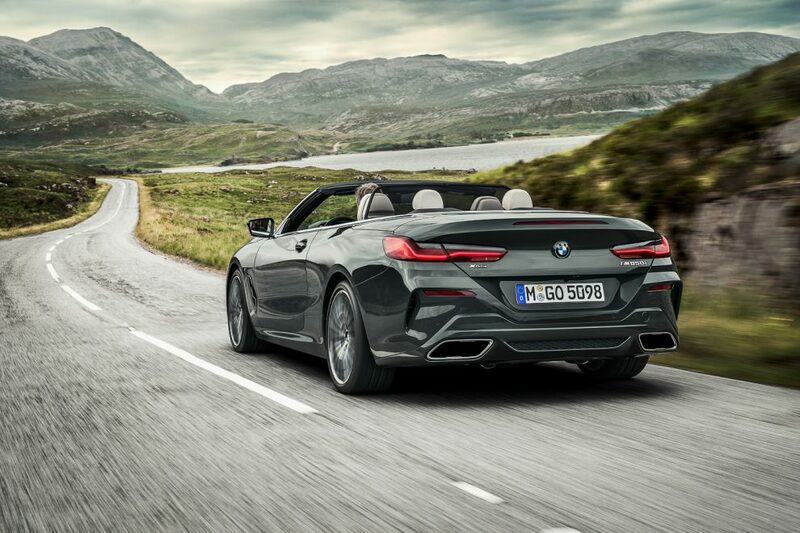 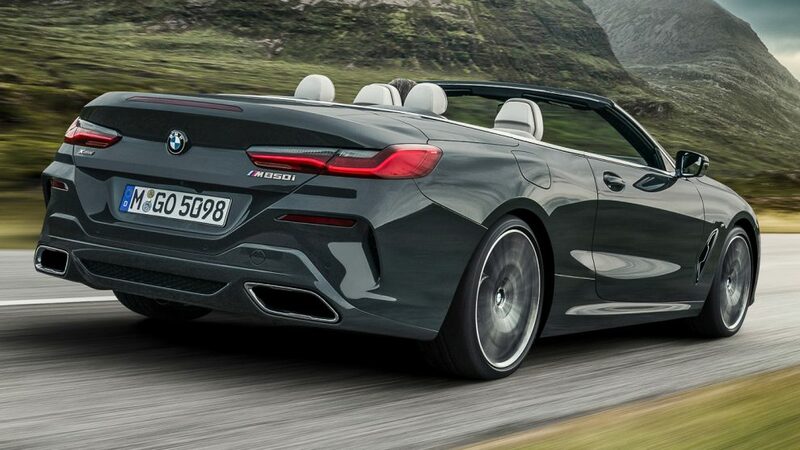 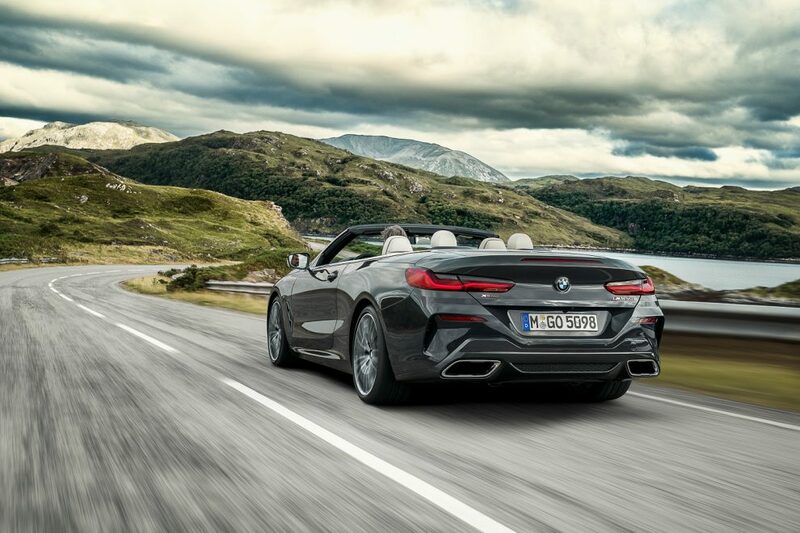 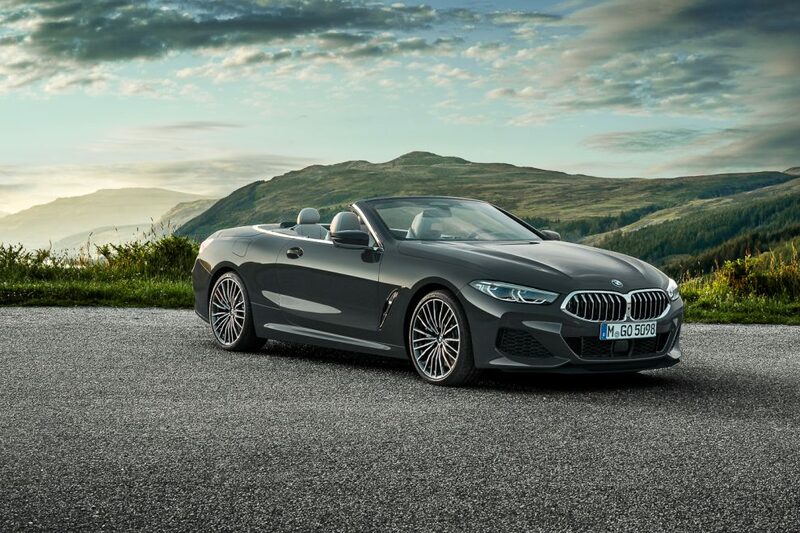 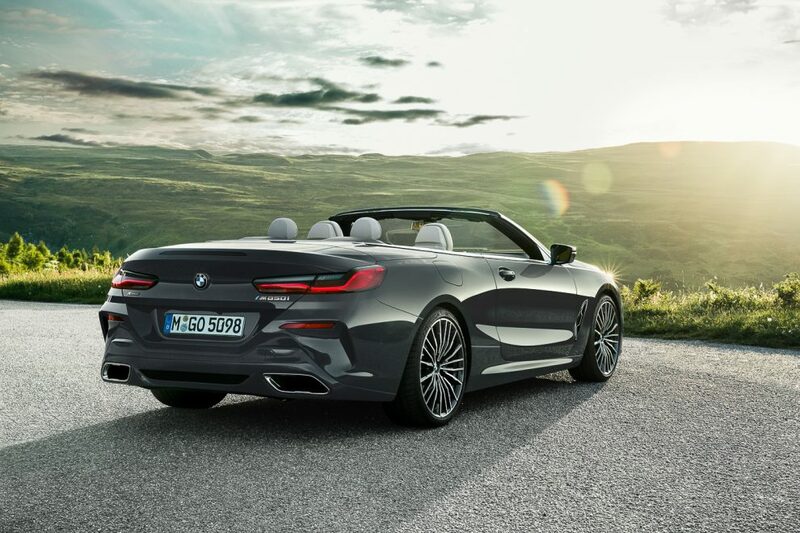 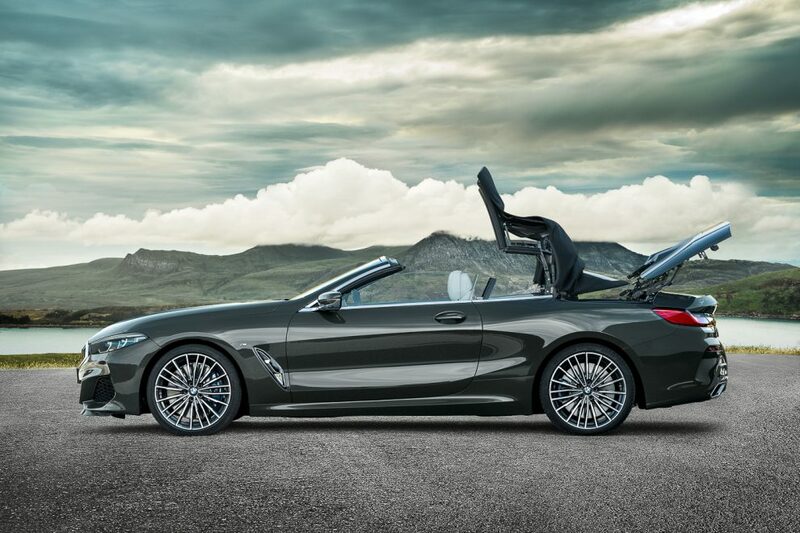 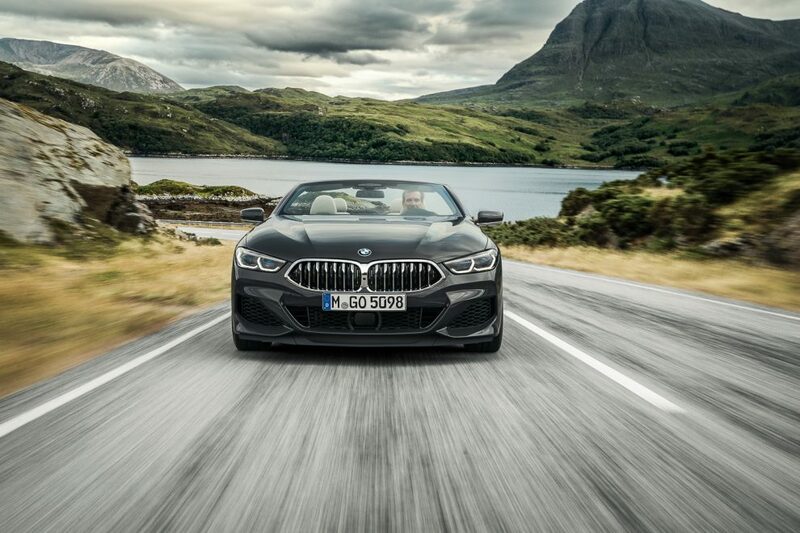 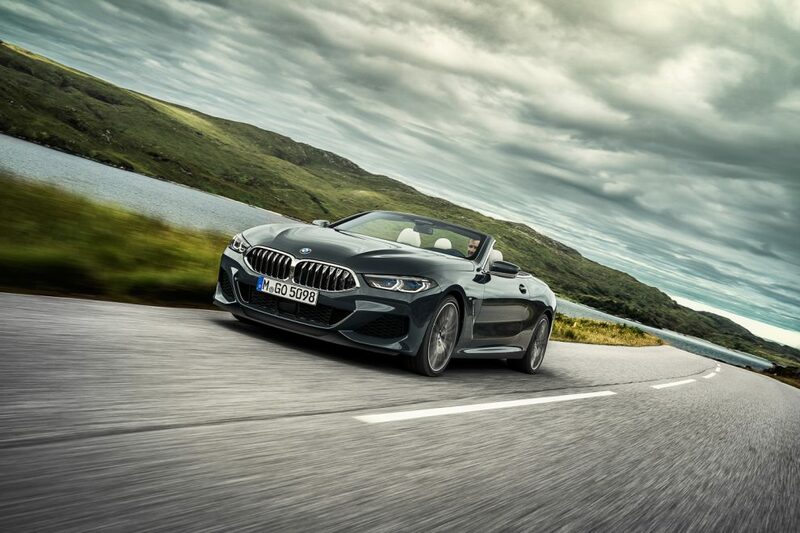 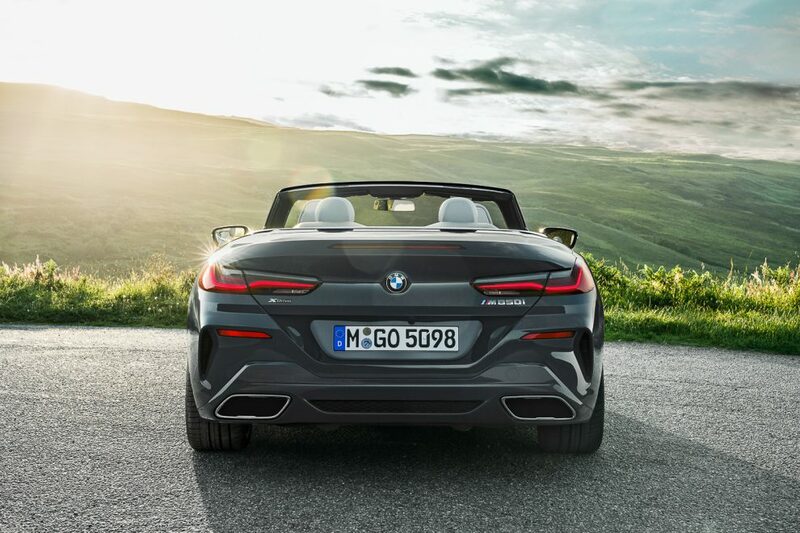 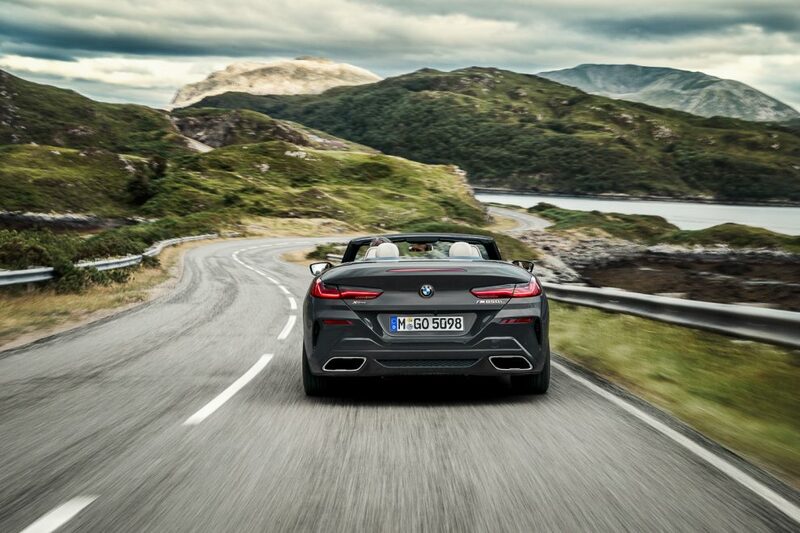 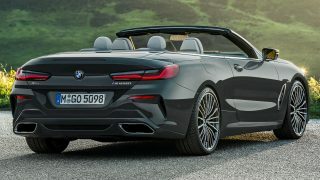 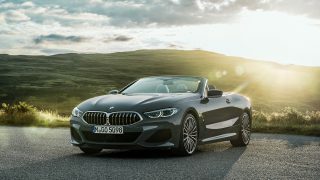 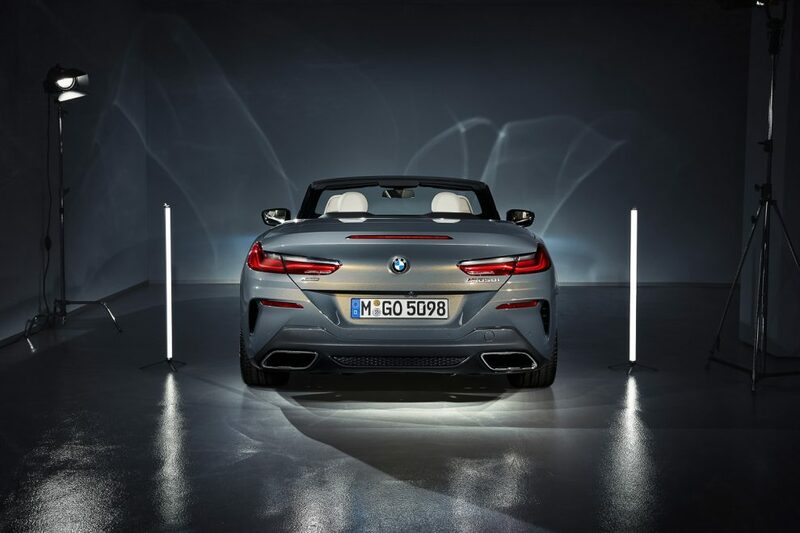 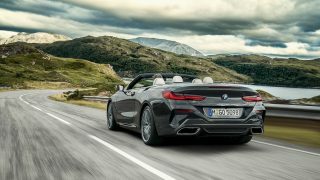 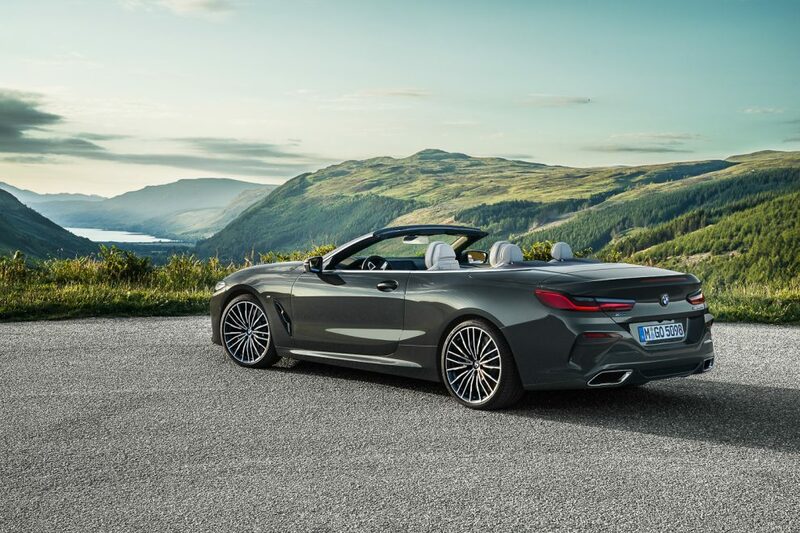 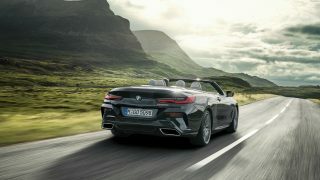 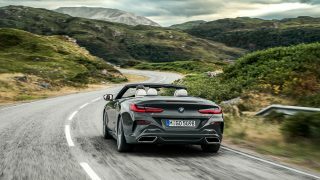 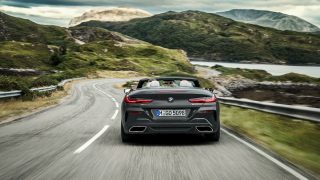 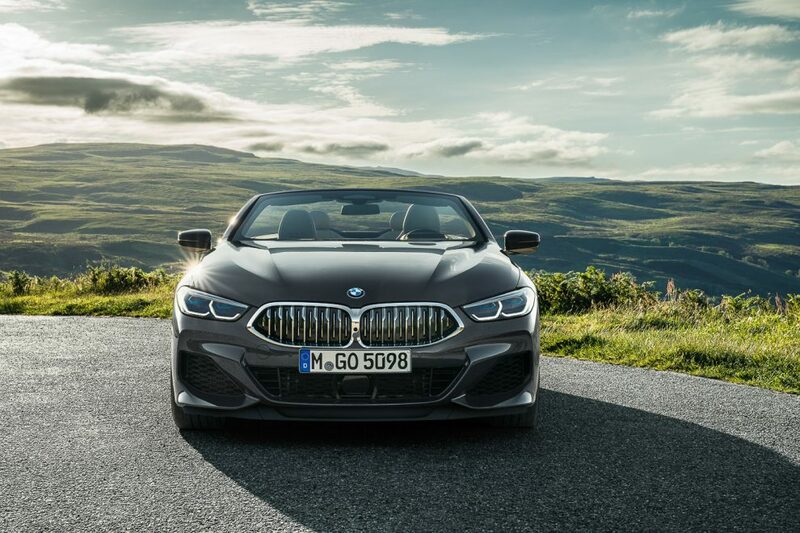 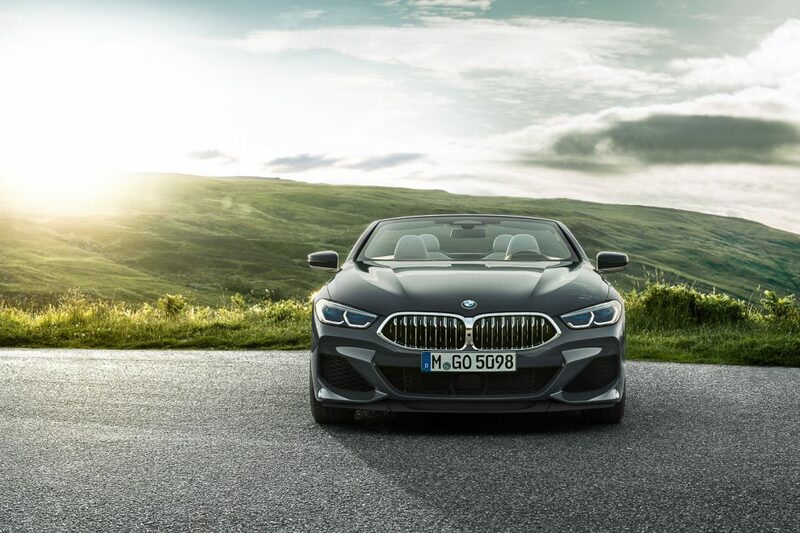 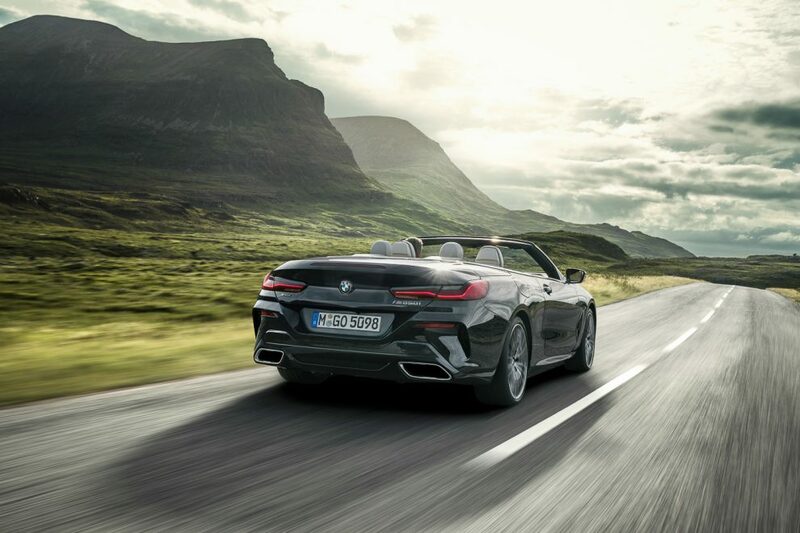 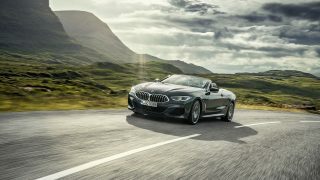 The BMW 8 Series Convertible is fitted as standard with rear wheel steering and Adaptive M suspension including electronically-controlled dampers. 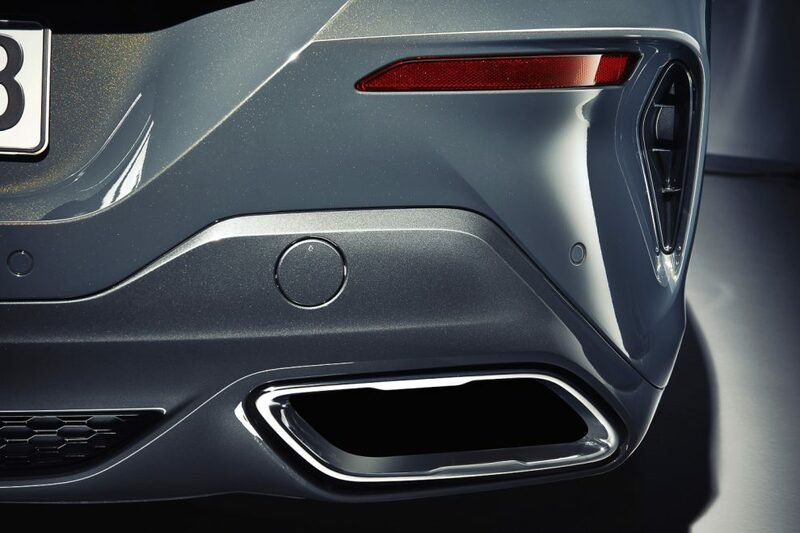 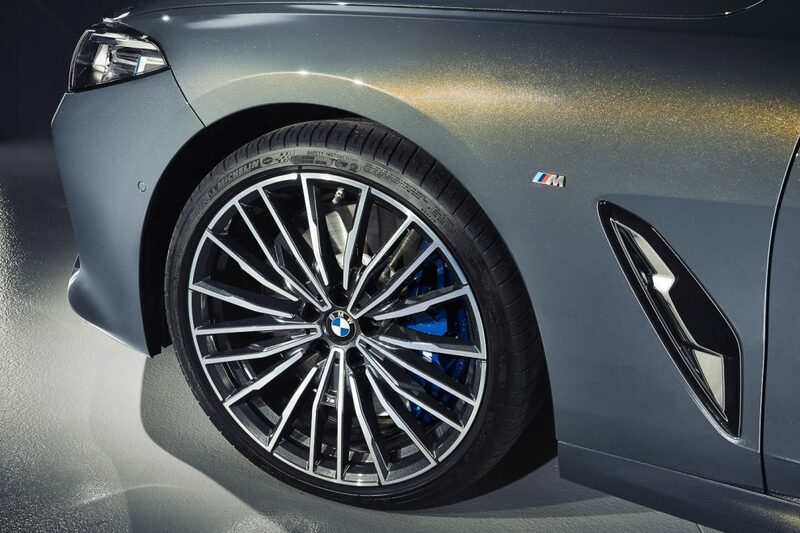 Moving outwards, both are equipped with four-piston caliper at the front with single-piston units at the back. 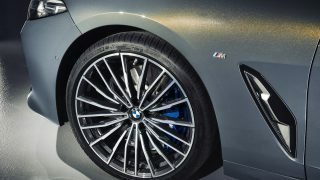 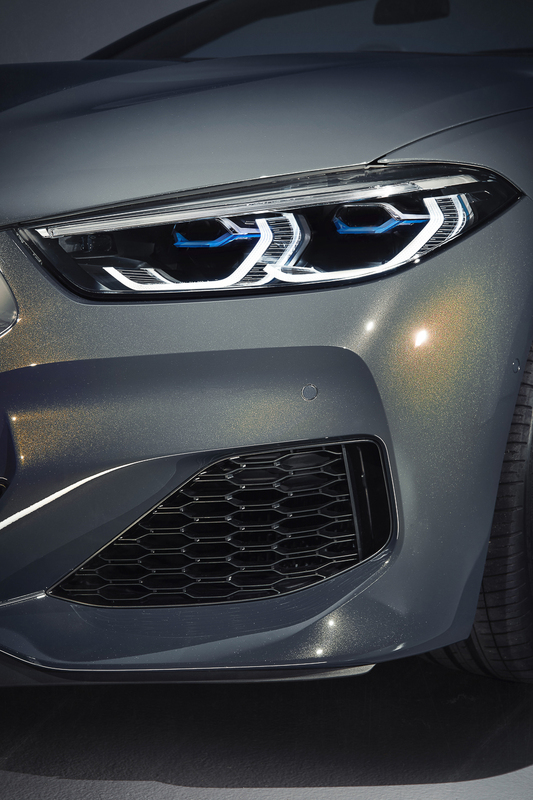 In the M850i xDrive gets 20-inch M light-alloy wheels in Frozen Cerium Grey, with an 18-inch set for the 840d xDrive. 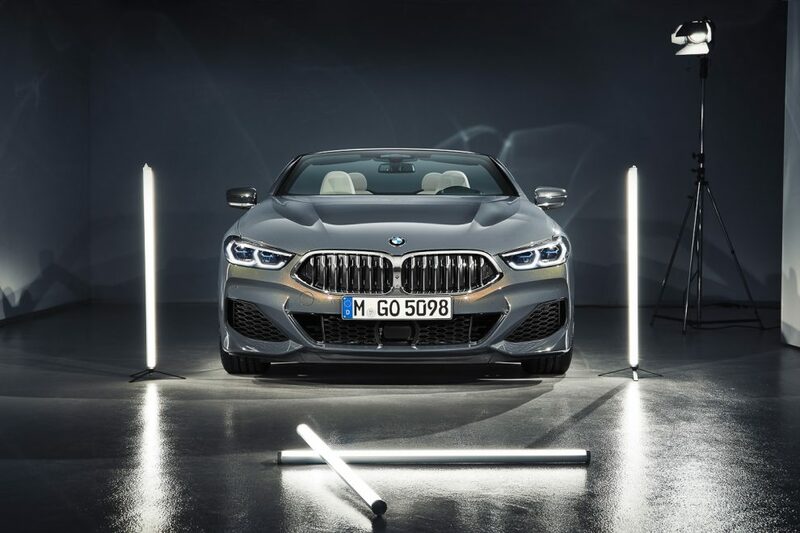 The tyres used have been specially developed for the BMW 8 Series models. 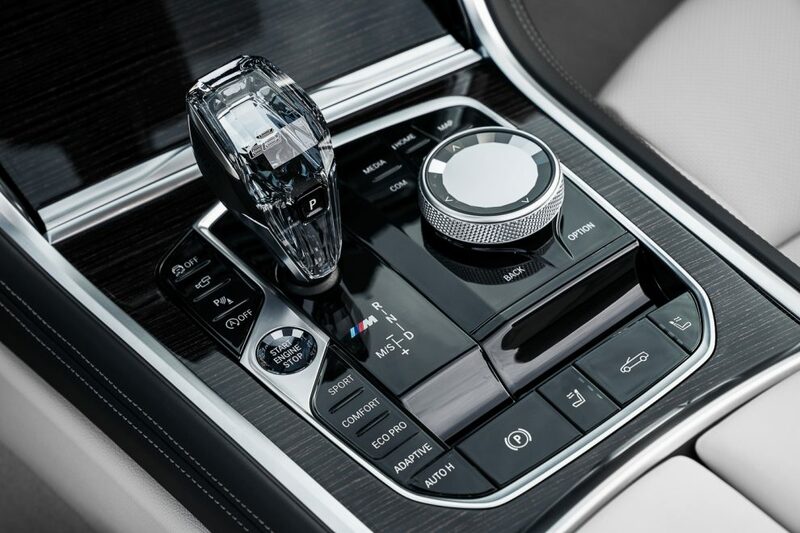 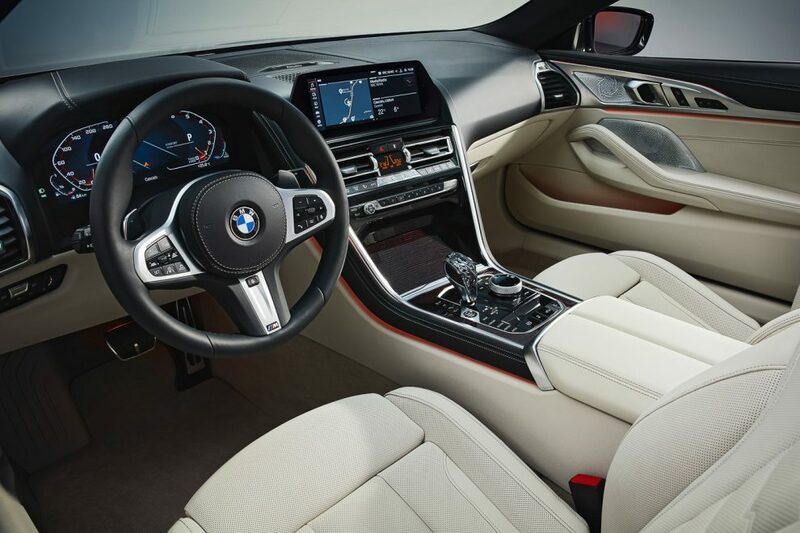 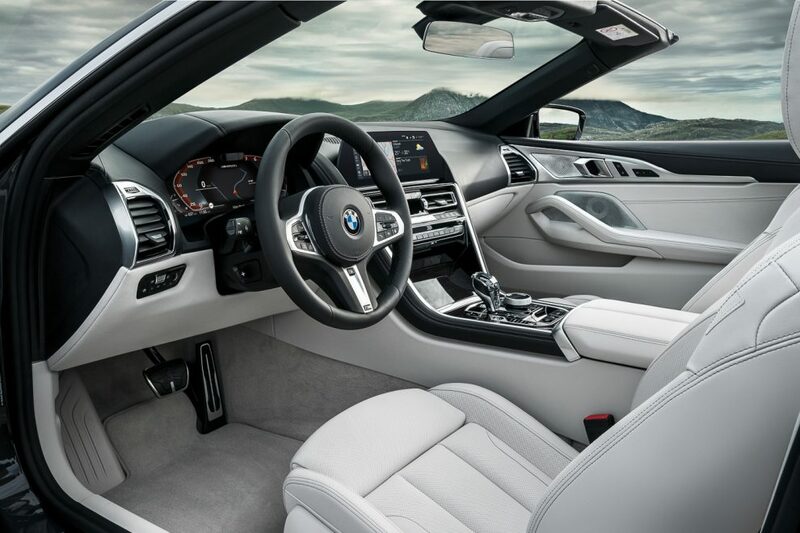 Inside, the BMW M850i xDrive Convertible gets the M leather steering wheel as standard along with multi-function seats featuring extra adjustment options, increased lateral support and even better comfort characteristics. 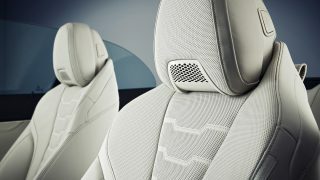 A Harman Kardon Surround Sound System with 12 speakers is standard, with the Bowers & Wilkins Diamond Surround Sound System as an optional upgrade. 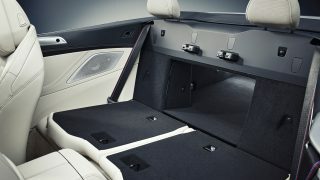 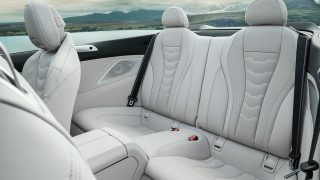 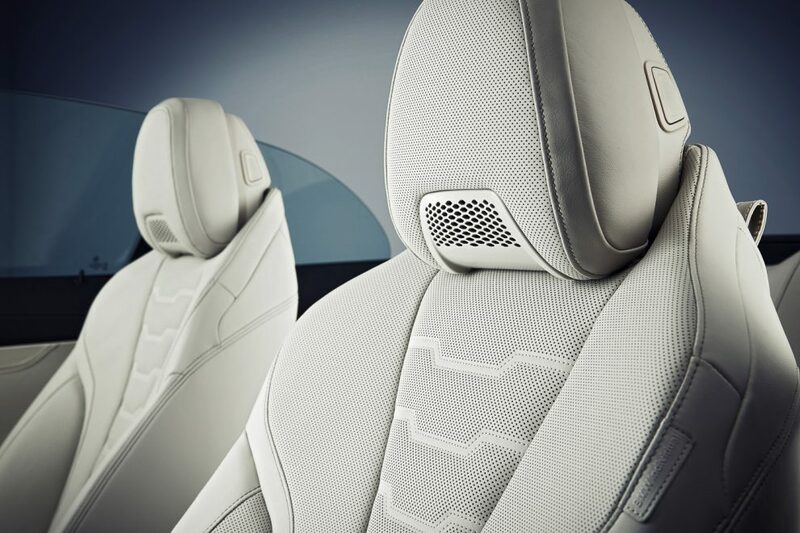 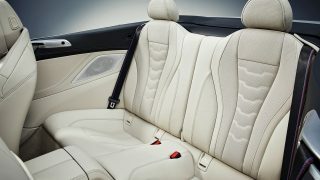 The seats also come with coolers and neck warmers integrated into the driver and front passenger head restraints. 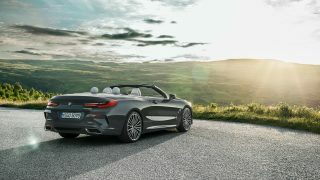 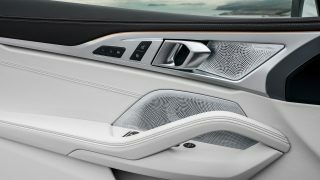 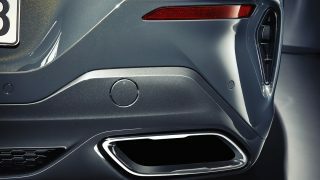 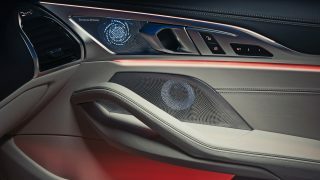 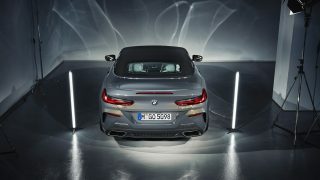 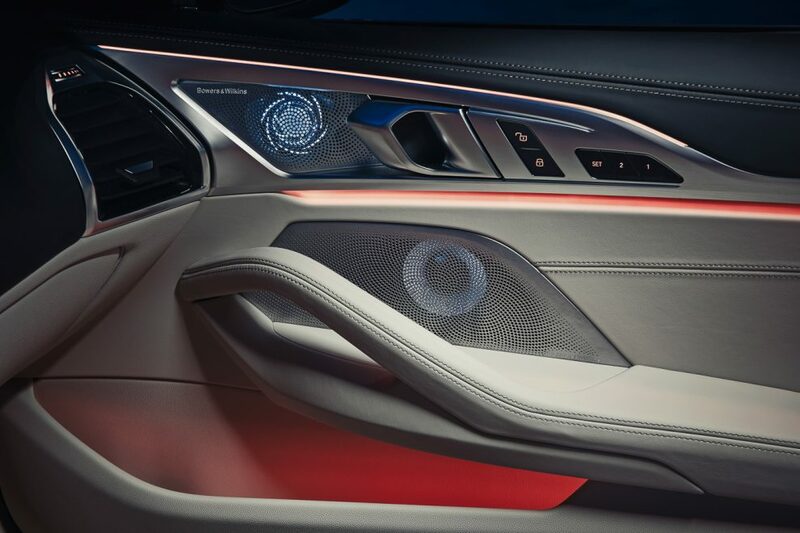 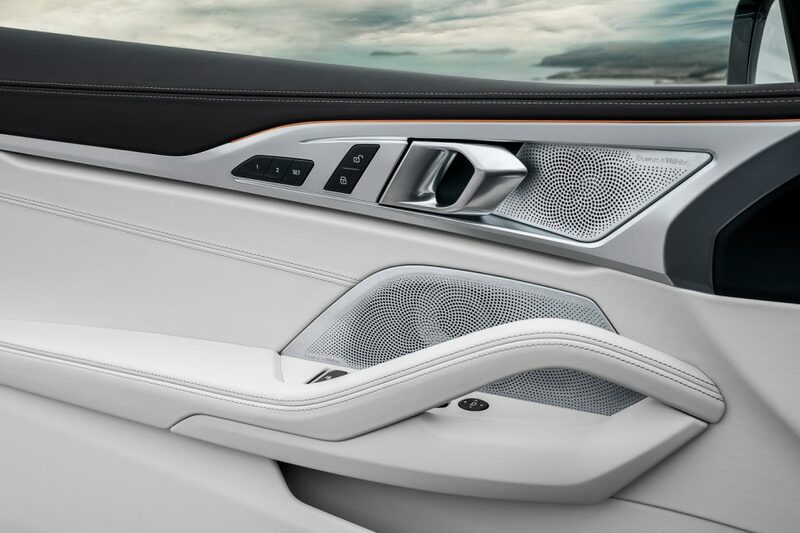 Another feature unique to the BMW 8 series convertible is the rollover protection system. 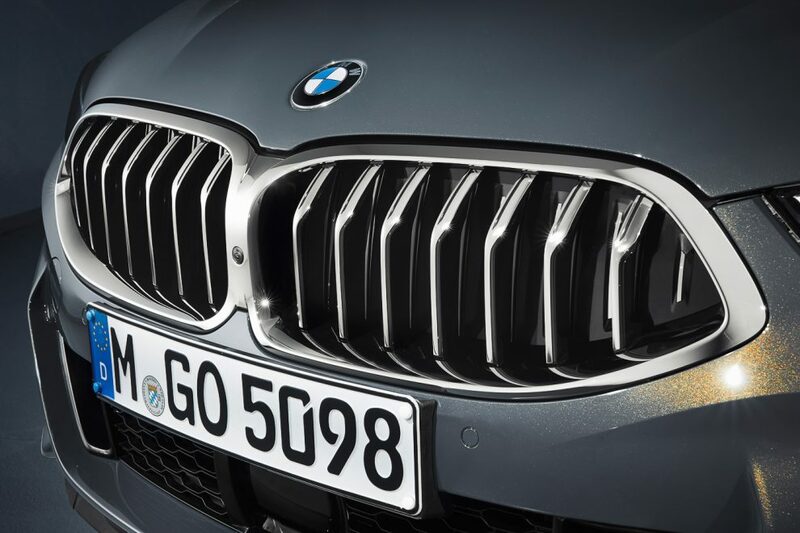 This is activated automatically the moment the car senses the risk of a rollover. 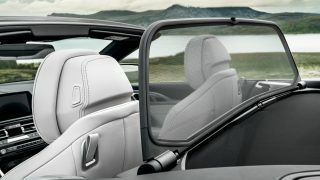 The system comprises two high-strength aluminium rollover bars fitted out of sight behind the rear head restraints. 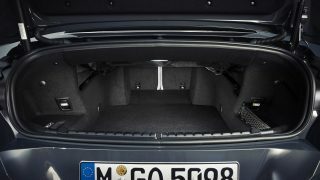 In the event of a rollover, the pre-tensioned rollover bars are extended by a pyrotechnic charge within seconds to form a survival space for the occupants. 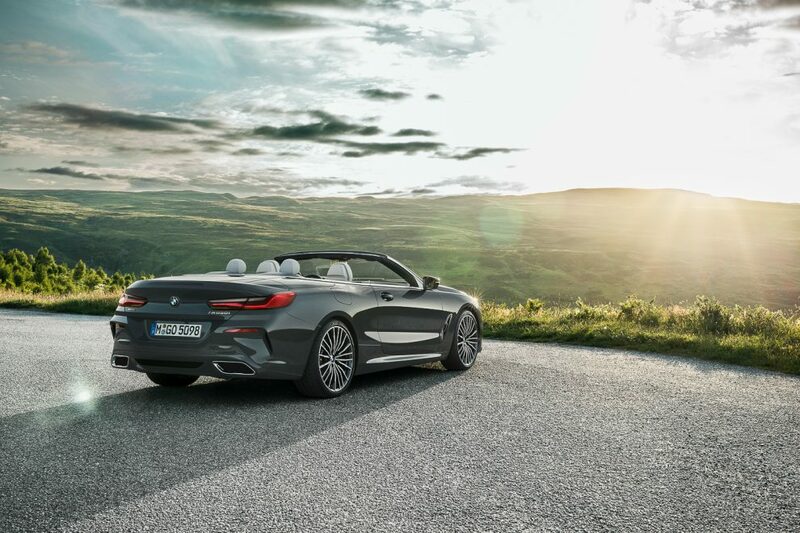 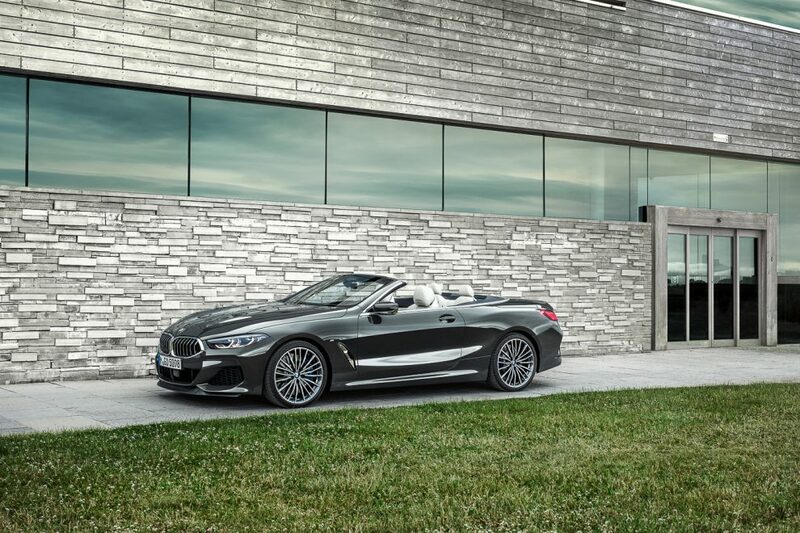 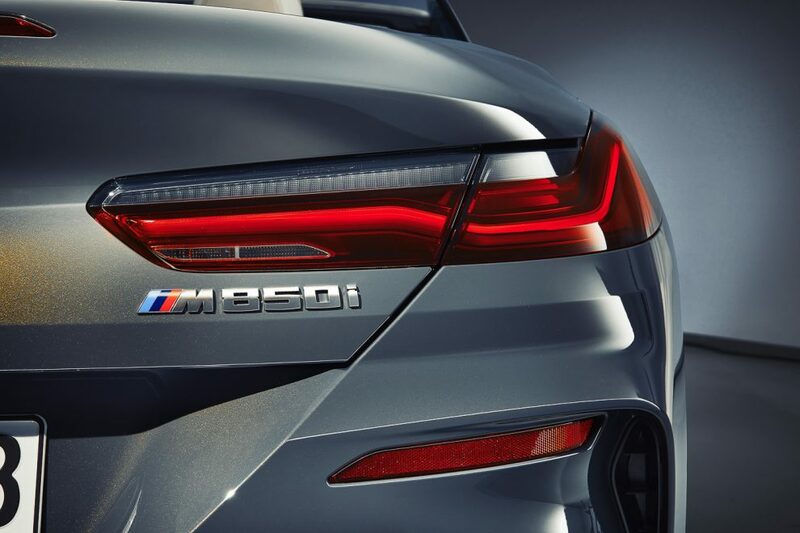 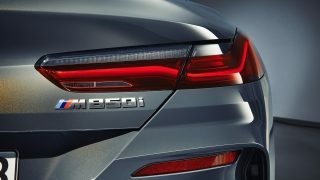 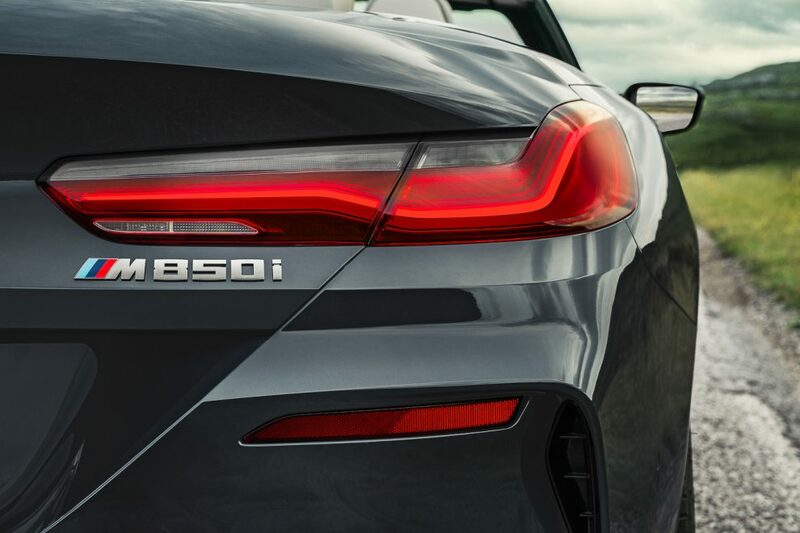 The worldwide market launch of the new BMW 8 Series Convertible will begin in March 2019.